Jollof rice is probably my all time favourite dish. As a child, my mother cooked it every Sunday for lunch and so it's always had an air of something special to me. These days, I probably have it up to 2-3 times a week and that really is a testament as to how amazing it is. There is a silent debate about the best type of rice to use - long grain? basmati? brown? But truth be told, every family has their unique way of making this dish, so it is completely up to you. As someone who has tried using all kinds of rice for this dish, I can confirm that they all taste fantastic. Blend the peppers, tomatoes, onion, ginger and garlic with 1 cup of water to form a smooth mixture. Heat the oil in a pot and add the mixture, along with the stock cubes and seasoning. Add the remaining 2 cups of water and bring to a boil. Add the rice to the mixture, stirring well, then lower the heat completely. Cook for about 30 minutes, making sure the rice doesn't stick to the bottom of the pot (you might have to add a tiny bit more water as you go along). You want all the water to be absorbed and the rice texture to be light and fluffy. Chopped basil works so well with this dish, so if you have some lying around or growing in the garden, you can add a handful towards the end. Jollof rice can be eaten with fried plantain* or moin moin*. Why not try it with some steamed vegetables too! I am quite pleased to find your blog!!! I am curious I found your brown basmati jollof rice picture, but no recipe. Can you please post a recipe for it. I can only eat brown rice and I do like brown basmati, but can not for the life of me fathom how to make jollof rice from it. I'm curious, where did you see the picture for brown basmati jollof rice? 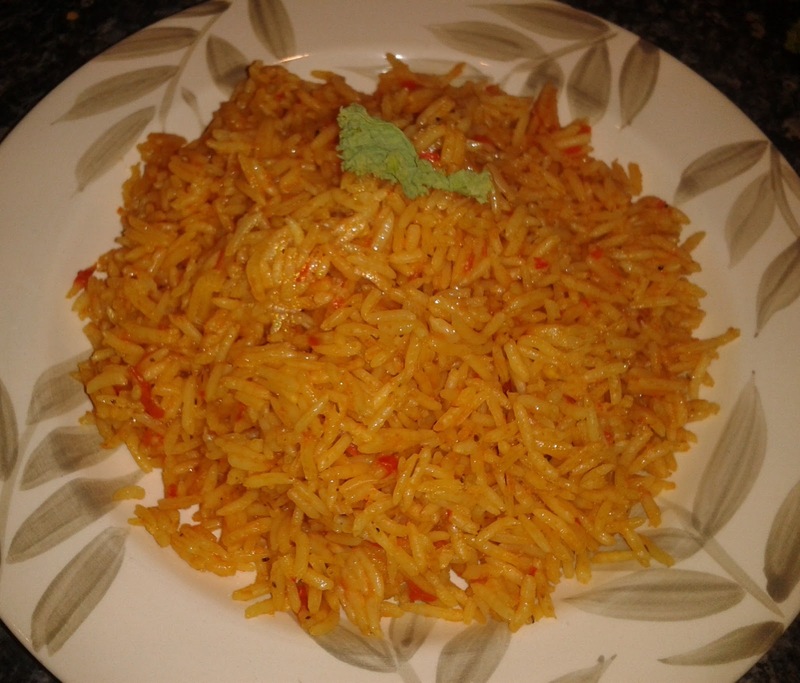 Could it be the 'Jollof Surprise' image? You'll be pleased to know that you can follow the same recipe here and just substitute the rice with brown basmati. I'll be creating a jollof rice update with brown rice at some point anyway, it's just too good! This looks like an excellent way to cook pure basmati rice. Can I leave out the oil? Absolutely. The grains might stick together more, but it's the taste that matters, and it will be just as good without oil. I just made this lovely recipe and actually forgot the oil! and it came out just fine. A little clumpy as the rice sticks together, but I like that actually! (i used basmati) GREAT recipe. A new favorite. First of all, thanks for taking the time to do all this. I have just started to try out your recipes. I made this rice tonight and it was delicious!! I have a question. Hope it's not too silly. If I wanted to make, say...twice as much, would I just simply double up on all the ingredients in the list? Or does it not work quite like that? Sorry...I'm a novice! I have some Ghanaian friends coming over on Sunday, and I want to make this for them. They like their meat, so hopefully it will go down well. Hi Gerry, thanks for your comment, I'm glad you enjoyed this recipe! Not a silly question at all. Yes, you will need to double the ingredients to make twice as much although you will need to be careful with the scotch bonnet pepper. Depending on how spicy you would like it, I'd still stick with 1 or 2 of them. I hope your Ghanaian friends like it, have a wonderful weekend! This was great! I used brown rice which seemed to take up more time and require more water. I really enjoyed the combination of all the flavors (especially the curry). I just discovered your blog and I love it. Question: did you cook the rice before you added it to the mixture? I think my mother is a rarity in that she adds mixed veggies to her jollof - but whenever she makes it, it's always gone! I'm going to have to try your recipe out! Oh I think you have just saved me! 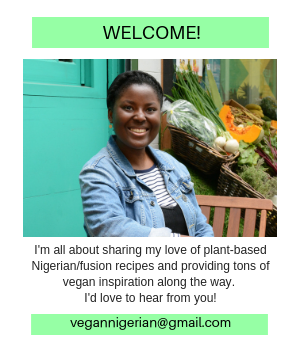 My finance is Nigerian and I have been a vegetarian for 30 years. My biggest anxiety has been what am I going to cook! Every Nigerian recipe I had found up to this point, even if it sounded vegetarian (Nigerian vegetable soup) turned out to include copious amounts of meat. I am so relieved to find your site!!! 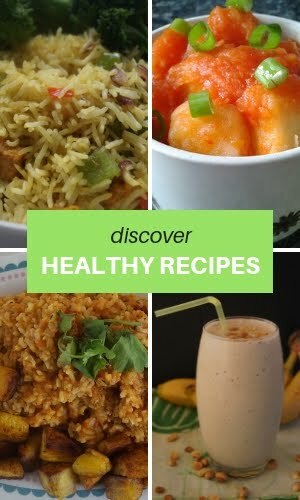 I will be making all of your recipes!! Thank you so much! This looks so delicious :) I have never tried it before but I will give it a try and I believe my family will love it. Tomi, thanks for posting; I loved this rice!! 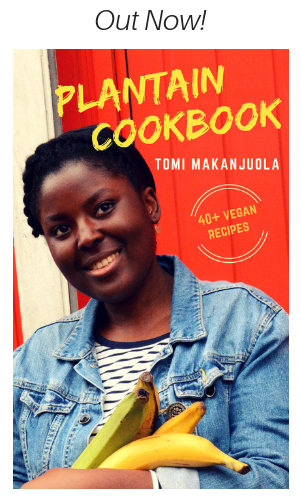 I was just reading Chimamanda Ngozi Adichie's novel Americanah, and jollof rice was mentioned a lot, so I really wanted to try it and experience some Nigerian cuisine; I was so glad to find a vegan version! This makes about 4-5 servings. Hi Toni, greetings from North Carolina, US! I heard about Jollof Rice on a podcast last week and found you when I googled "vegan Jollof." I made it this evening - wow! So easy, so tasty. Thanks for this recipe, I look forward to learning more from your site and I've subscribed to your YouTube. Cheers! can you share what brand curry powder you used? Sure! I normally use a brand called 'Lion'. 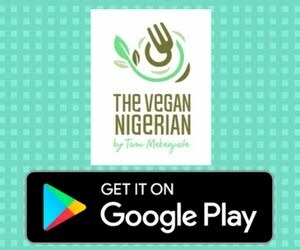 Fellow vegan Nigerian here, I just wanted to say thank you so much for this recipe. It's amazing. You are a lifesaver.